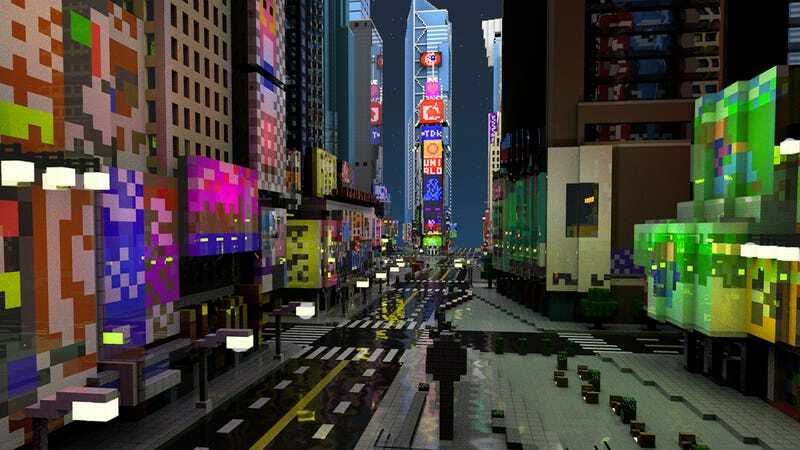 And, since the Minecraft version of Times Square is not an absolute clustereff of pedestrians, you get to hang around and enjoy the sights. Yay! Much better. Head over here if you wanna give the map a try. It’s not 100% done, since some interiors are missing, but it’s still quite the looker.